The LINX Intermodal Terminal is located 18 kilometres from Port Botany and is close to Sydney’s major M4 and M5 motorways. With a dedicated freight line to Port Botany and direct access to the interstate mainline corridor, LINX offers exporters and importers seamless and efficient supply chain solutions in regional NSW and Western Sydney. ACFS is the largest privately-owned container logistics operator in Australia and brings a strong customer base consisting of Australia’s largest blue-chip importers and exporters to the LINX Intermodal Terminal. ACFS business operations are underpinned by extensive knowledge and experience across the Transport, Depots, Warehousing and Empty Container Park sectors. ACFS moves over 750,000 TEU (Fully Laden) annually and employs more than 1200 people nationally. Anthony Jones, LINX Cargo Care Group CEO welcomes ACFS to the LINX Intermodal Terminal and acknowledges their shared vision for an Empty Container Park at Enfield which will bring value and benefits for importers and exporters. “ACFS will provide empty container park services to import and export customers, offering empty container handling, storage, wash, repairs, surveys and upgrades. Our combined expertise will offer a one-stop-shop for importers and exporters and a streamlined, complete experience. “For exporters, the empty container park at the LINX Intermodal Terminal will provide access to containers certified for return to regional areas for export packing. For importers, the park will largely remove the need to return empty containers to Port Botany and surrounding area container parks, removing traffic congestion and delays in the supply chain,” said Anthony. 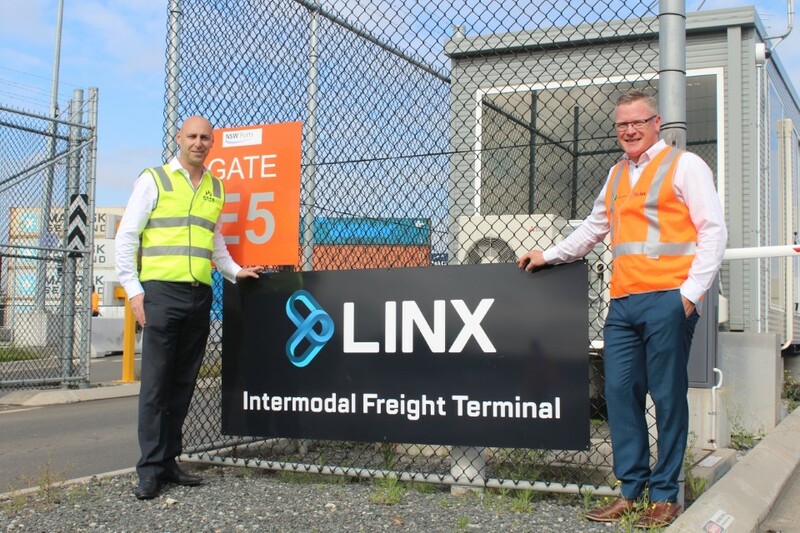 The LINX Intermodal Terminal at Enfield is strategically positioned to service the main import freight catchments in North West, Western and Inner West areas of Sydney, as well as all the rural export catchment trains, thanks to its location on the intersection of all rural and metro lines. ACFS CEO Arthur Tzaneros said ACFS is continually striving to develop its national container logistics operations, and to provide the best end-to-end supply chain solutions for customers. “We are extremely excited by the opportunity to work with LINX to expand our empty container depot network which connects with rail, for the benefit of importers and exporters. This provides the Sydney network with much needed additional capacity,” said Arthur. NSW Ports CEO Marika Calfas said one of NSW Ports’ key objectives is increasing container volumes moved by rail to and from Port Botany, Australia’s premier port. “Our site at Enfield is the largest dedicated rail based integrated logistics facility in NSW. It is an inland extension of Port Botany and a vital part of the State’s infrastructure. The dedicated rail line to Port Botany and increased trade brought by LINX and ACFS will help NSW Ports achieve our goal of growing the number of containers moved by rail. This in turn reduces truck kilometres on Sydney’s roads. Rail transport to and from Enfield is more efficient for importers and exporters and reduces congestion on our roads,” Marika said. “Today’s announcement is an exciting step forward in taking freight off roads and moving it by rail from the port to the major freight precinct in Sydney’s west. This bold move will add 10% of freight to rail and reduce truck movements by 20,000 per annum, in the first year alone. The benefits for the community are equally as important with the reduction of traffic congestion, heavy vehicle noise and transport greenhouse omissions. At LINX, we are focused on driving efficiency, connectivity and access, which is a priority for the supply chain and logistics industry, NSW Government and local communities,” Anthony said.